On Sep 2nd, 2017, the Chinese fur brand “LIU DU” collaborated with Danish designer Morten Ussing to launch a new collection named Return to true self. The event was held at the Peninsula Beijing Hotel, as an extraordinary landmark, it houses over 30 world famous luxury brands, such as Chanel, Versace, Bulgari, Dolce & Gabbana, and more. The Asian flagship store of LIU DU was also here. Many celebrities were present the event, including Ms. Tao Hong, the famous international actress. Morten Ussing, graduated from Central Saint Martins with an MA in fashion design in 2015. He set up his own brand in Spring 2016 and landed his first design series successfully at Copenhagen Revolver fashion trade show. 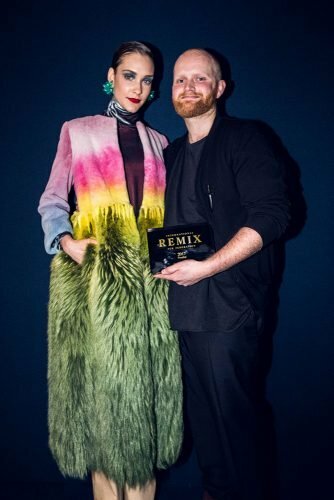 In 2017, Morten Ussing won the gold award of the IFF REMIX competition in Milan with his unique designs including colour printing and the dyeing of fur.  Morten Ussing won the gold award of IFF REMIX competition in Milan. Morten Ussing’s understanding of colours and shapes were key reasons for his success, his design explored the creative opportunities unique to fur as a material. In other words, he provoked a curiosity and made people consider what could happen if we let him experiment with fur, the Chinese fur brand Liu Du surely was one of them. 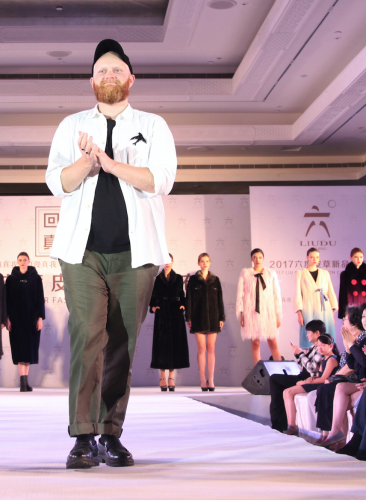 Through IFF, Morten Ussing established cooperation with the Chinese fur brand “LIU DU”, as chief designer, launching the first series with inspiration from the butterfly fairy. Simple and elegant outfits with stunning colours bring us a fresh vitality for the coming winter.